Need a Bike or Hotel? If you’d like to ride in Pedal the Cause and don’t have a bike, you can easily rent one from Big Shark. Once reserved and paid for, rental bikes are available for easy pick-up on Sunday 9/29 in the bike corral. Just grab your bike and hit the road, then leave it in the corral when you are done! If buying a new bicycle, we encourage you to support our preferred cycling partner Big Shark. No matter the type of riding you enjoy, whether you’re needing your road bike repaired or your mountain bike repaired, whether you’re looking for bike parts and accessories or to buy a new bike, Velofix St.Louis has you covered. Check out Velofix St. Louis online here. You can also schedule an appointment online here. 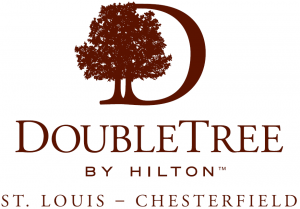 The Doubletree Chesterfield and the Hilton Garden Inn Chesterfield are the official hotels of Pedal the Cause. The hotels are conveniently located less than five minutes from the Chesterfield Amphitheater, and are offering our participants and spectators discount rates. Space is limited so reserve your room early.